A high quality multivitamin in a vege cap. 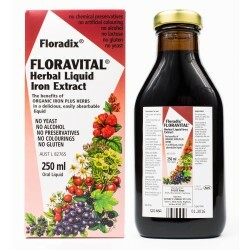 Scientifically formulated for the nutritional requirements of Vegans and Vegetarians. Multi Vitamins There are 2 products. 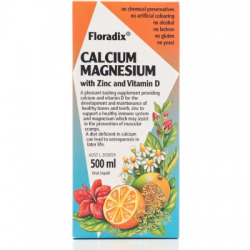 Floradix Calcium Magnesium with Zinc and Vitamin D, is a pleasant tasting vitamin and mineral supplement that may assist in the development and maintenance of healthy bones and teeth. A woman's calcium requirement is increased after menopause, and a diet deficient in calcium can lead to osteoporosis in later life.